Joe Frank Rupert, 83, Venice, died Feb. 5, 1996. He was born July 24, 1912, in Van Lear, Ky. The chairman of the board of Rupert-Hager-Crowell Agency in Ashland, he retired in 1984. 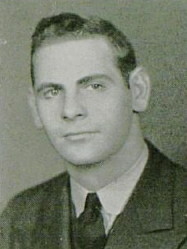 A graduate of the University of Kentucky, he was a Navy veteran of World War II. Survivors include his wife, Willena Gunnell; two sons, Tom of Ashland and George of Fort Myers; a sister, June R. Whitaker of Lynchburg, Va.; six grandchildren; and four great-grandchildren. There will be no services. Ewing Funeral Home is in charge.